Specialist monitoring equipment is called upon for temperature & energy monitoring initiative. 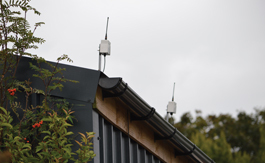 One of the UK’s most environmentally-friendly zoos has launched a new animal enclosure monitoring initiative using a temperature and energy wireless system to ensure animals are kept in the best possible conditions without compromising energy efficiency. Paignton Zoo in Devon is one of the UK’s oldest zoos and one of the most forward-thinking when it comes to sustainability, holding the environmental standard ISO 14001 for over 9 years. The Zoo, which has won numerous awards for its environmentally-friendly approach to conservation, is undertaking a project that will be of use to all members of the British & Irish Association of Zoos & Aquariums (BIAZA), the body which promotes best practice in top zoos and aquariums across the country. 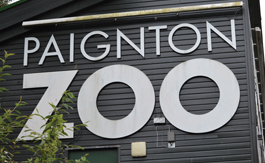 Paignton Zoo is home to around 2,000 animals representing 300 species, a renowned breeding center and a registered educational and scientific charity, attracting around half-a-million visitors each year. Currently celebrating its 90th anniversary, the zoo’s managers are now embarking on a unique thermal regulation study. An introduction to our Hanwell Pro energy monitoring system demonstrated that using wireless technology to gather and transmit energy consumption data from 12 enclosures spread across the Zoo’s 80-acre site, provided comprehensive animal enclosure monitoring. The robust Hanwell Pro system uses the extensive range offered by radio communication rather than risking the ongoing expense of SMS and mobile alternatives. Al ready the timing of energy usage within the amphibian enclosures has been adjusted to draw more from off-peak electricity. The system has only recently been installed and staff at Paignton Zoo are looking forward to a complete year of data so that the analysis can be evaluated across all seasons. 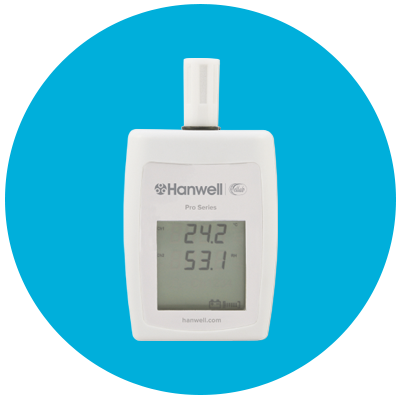 One of the advantages of the Hanwell Pro system is that it can be adapted and expanded to meet changing needs of animal enclosure monitoring. Discussions are already underway about the addition of humidity sensors, as well as further temperature sensors, to create a comprehensive environmental monitoring solution. Moving forward, there are plans to incorporate load balancing functions into the energy system to enable further efficiency savings. Since the equipment was installed at Paignton Zoo, Newquay Zoo (which is also own and operated by the Whitley Wildlife Conservation Trust) has purchased a system. An animal enclosure monitoring initiative launched to ensure animals are kept in the best possible environment and energy isn’t being wasted. The Hanwell Pro energy monitoring system using wireless technology to gather and transmit energy consumption data from animal enclosures. A valuable 18th-century hat discovered during needed to be thoroughly treated for pests before it could join a museum collection. The Fourth century National Trust, Romano-British villa at Chedworth, Gloucestershire enlists Hanwell for monitoring and control.